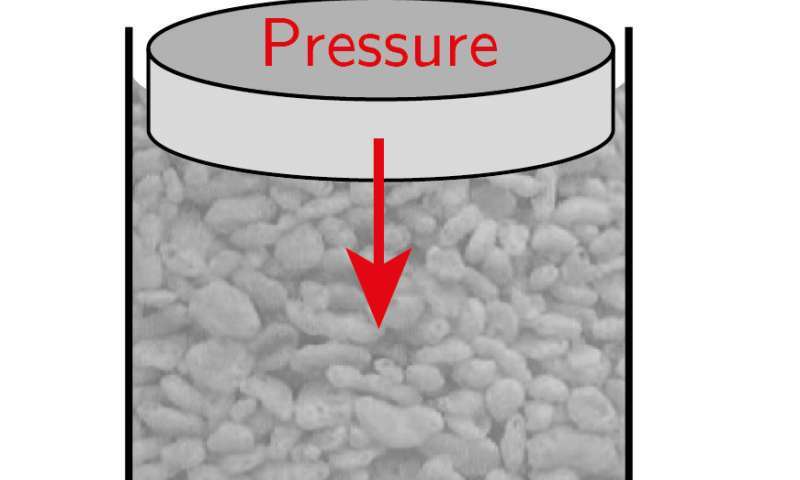 A pair of researchers at the University of Sydney has found that puffed rice and milk can serve as a stand-in to simulate collapsing ice shelves and rockfill dams. In their paper published in the journal Science Advances, Itai Einav and François Guillard discuss their experiments with rice and milk in their lab and what they believe it showed them about real-world collapse events. 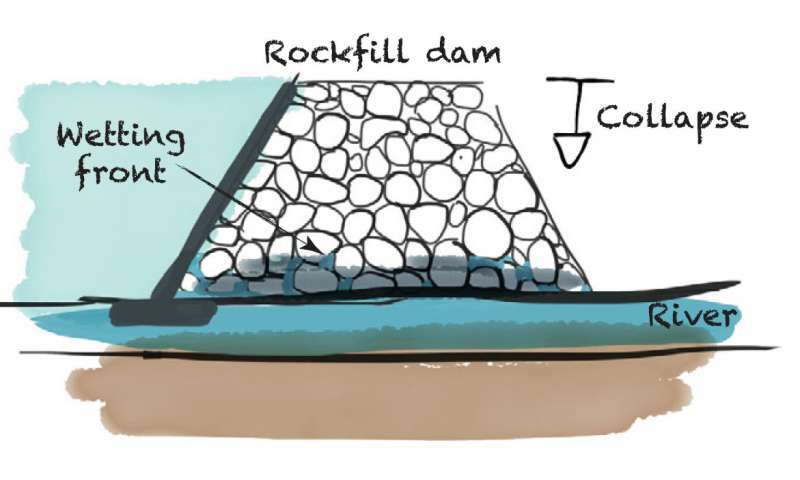 Prior research has shown that ice shelves and rockfill dams have something in common—they both are prone to collapse events. Collapse events occur as porous material at the bottom of a structure becomes saturated, making it weaker. At some point, the material just above the weakened material collapses down into the saturated material. With ice shelves, the collapse can be quite majestic—with rockfill dams, such a collapse can be catastrophic for those living downstream. For that reason, scientists would like to know more about how they work. With ice shelves and rockfill dams, a collapse event can take a very long time and the material is quite large. Such characteristics make studying such events difficult. To get around both problems, Einav and Guillard came up with a suitable stand-in: puffed rice and milk. 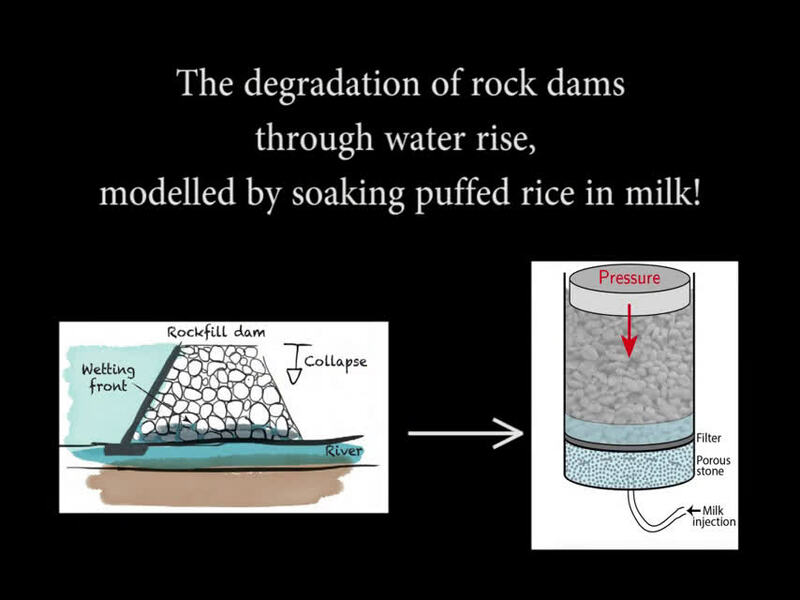 To simulate what happens when a rockfill dam collapses, the researchers filled a hollow tube with puffed rice and then added pressure pushing down from the top—the bottom of the tube was sealed, preventing the rice puffs from being ejected. 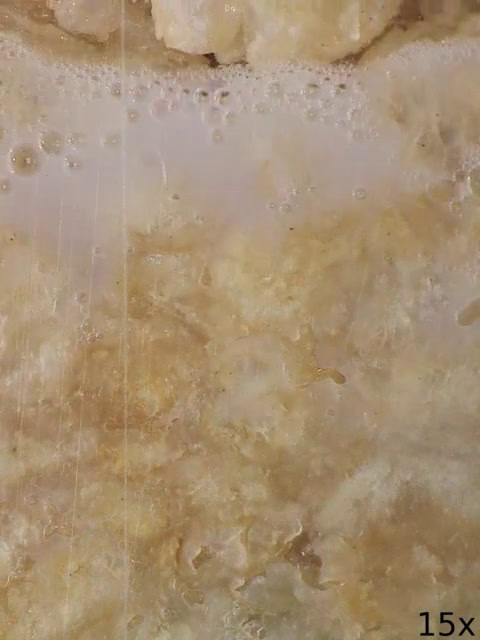 The researchers then added a small amount of milk, which seeped into the bottom of the tube. 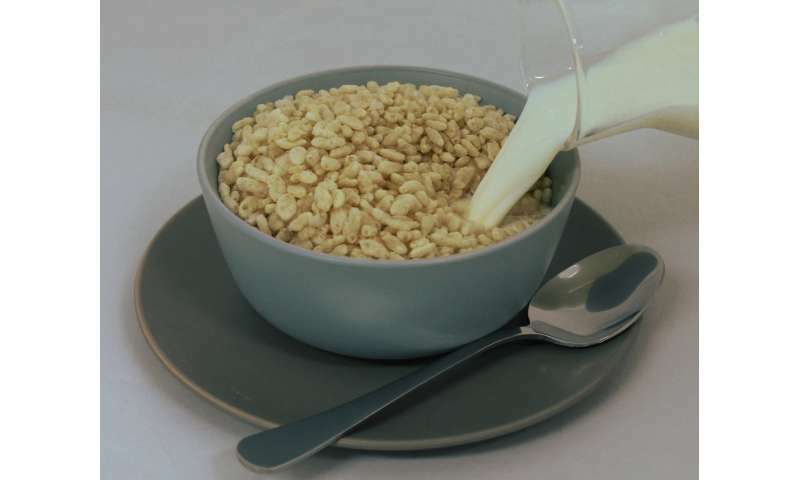 The researchers report that the milk was absorbed upward into the puffed rice until a certain point at which the pressure pushing down on the rice caused the dry puffed rice to collapse down into the softened wet puffed rice. As it did so, the dry puffed rice grains snapped, crackled and popped. The researchers dubbed the collapse event a "ricequake," and noted that they occurred repeatedly as milk continued to saturate each new bottom layer. They noted also that the time between collapse events grew longer. Intrigued by their findings, the researchers created what they call a "crushing wave model," which they believe could prove useful for describing the behavior of much larger collapse events. Proposed as High School science project.